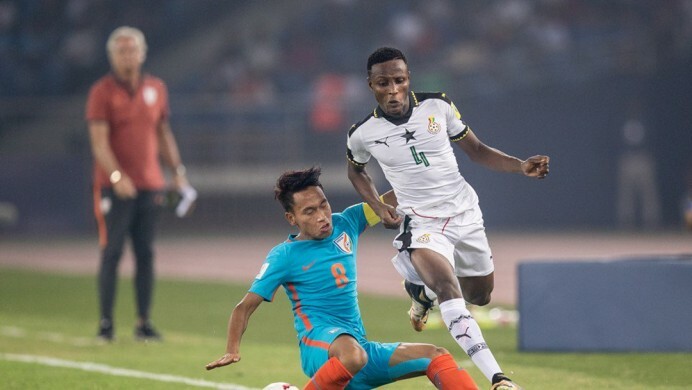 The Indian U-17 National Team was defeated 0-4 by Ghana on Thursday at the Jawaharlal Nehru Stadium in New Delhi. 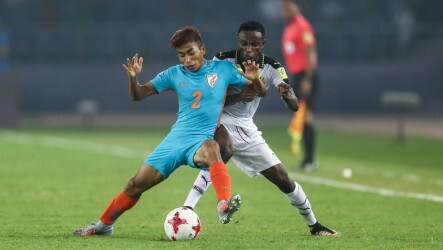 The Indians were forced to exit the FIFA U-17 World Cup this year following a series of defeats against the USA, Colombia and finally Ghana, unable to clinch any points. The Indian head coach, Luis Norton De Matos met with the media representatives shortly after the match concluded, where he talked about his picks of the game and the development of the young U-17 players of his side. The press conference turned rather blunt when the Portuguese gaffer started talking about the present state of the country's football later. While talking about the football in the country, Matos made a rather blunt statement pointing out towards the ISL teams and their pre-season tours in Europe. “The teams of ISL, when they go to Europe to play, they lose to fourth division teams in Spain,” he said. “This is the reality,” he also stated. “After two hard games at this level we said it will be very complicated to play against a team with the level of Ghana,” said the Portuguese coach to the reporters. He also revealed that he thinks that the Africans are the toughest team remaining in the ongoing event. “Ghana is the strongest team of this World Cup,” he added. Matos was asked about his strategy against the Ghanaians in his side’s last group stage match. “They have very fast players and very strong players,” said Matos. “For me, it is very simple, I knew how fast these boys are and we were going to suffer a lot in the third game,” he continued. The Indian players often looked tired in the second half of the game, where they conceded two late goals to seal the fate of the match. Acknowledging the fact, Matos said, “The players who were playing the 90 minutes, they were finished physically. The the second half proves this,” he added. Despite his side’s exit from the FIFA U-17 World Cup, Matos revealed that he believes the Indian players gave their all and lost because of inexperience. “They gave everything. They never had this kind of level before,” the former Portugal international said. It is very important for the process that they can play in the I-League. Because these experiences are stronger than I-League,” said the Portuguese coach while talking about the grooming of the Indian U-17 players in the future. The Indian head coach congratulated the Ghana players for their advancement to the knockout stages. “They are faster, they are stronger and they are more intensive. They are also more technical,” he added. Matos also said that playing Mauritius before the tournament is not the best preparation the team could have. In the game against Ghana, the Indians often could not cope with the pace of the opposition players, which resulted in a first-half goal in the match. Questions were raised to the Indian coach asking why star winger, Komal Thatal, wasn’t used to match the speed of the Ghanaians. “I don’t talk about individual players,” Matos answered. However, he later pointed out to the physique of the Ghanaian and Colombian players to elaborate his strategy.